Dipika Pallikal is one of the most famous squash players in the entirety of India and has become so through the vast amounts of skill she has for the sport. Over time, she has slowly and steadily paved her road to becoming one of the greatest squash players to have come out of India and has become a name that is known not only in India but also throughout the entire world, as she is one of the topmost squash players in the world. One of the best Indian female squash players in recent history, Dipika comes from a family that has heavy ties with sports, as her mother, Susan Pallikal, used to play cricket for the Indian women’s team, on the international level, and was quite famous herself. Dipika started showing her talent quite early in her life, as her first international tournament was all the way back in sixth grade, and since then she has gone on to win quite a lot of Junior tournaments. Being one of the best Junior Players of her time, she achieved victory in several European Junior Squash Circuit Tournaments. One of the most amazing facts about this player is that she is the first Indian to have been ranked in the 10 Top PSA Women’s Rankings. This has made her not only not of the most known squash players in India, but indeed the whole world, as she has become known as one of the best Indian squash players in history. Dipika is coached by Sarah Fitz Gerald, who is one of the most well-known names in the entire sport of Squash. Dipika Pallikal was born on 21st September 1991, in Chennai, Tamil Nadu, India, to parents Sanjiv and Susan Pallikal. Her mother was a reputed Indian female cricketer herself and used to play for the Indian women’s team. Like most of Squash players, she is a right-handed player and has become one of the finest examples of using one’s right hand. She turned professional in 2006 and has since then become one of the best players from India. She is currently ranked as the No. 19 in the world, a fact that is still a reminder of just how good a player she is. She uses the Technifibre racket, which is her racket of choice. 2011 California Orange Country Cup: This is one of the most important tournaments that she has participated in so far, as this was the very first of her three WISPA titles. This was one of the first places where she displayed her immense talent in the sport, as this then new player managed to amaze the entire crowd with her prowess at the game. 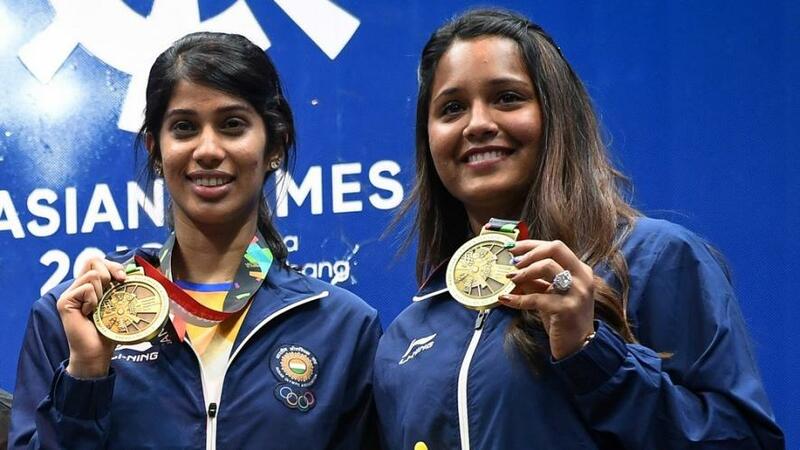 2014 Commonwealth Games: After winning a gold medal, Dipika Pallikal along with Joshna Chinappa made history at the 2014 Commonwealth Games when they became the first Indian players in history to have won a medal for squash in the Commonwealth Games. For both the players, this incredible achievement skyrocketed their fame. 2016 South Asian Games: This was another particularly fine example of the intense skill that Dipika displays while playing, as she led the Indian Women’s Team to a gold medal victory in the 2016 South Asian Games. The audience was amazed by the pure zest she has for the sport, as Dipika Pallikal not only likes playing Squash but indeed loves it, and it is this same love of the sport that has led her to become one of the most well-known squash players.